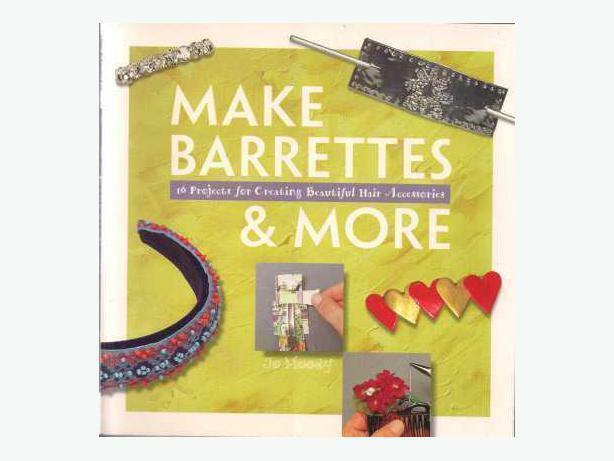 The projects in this book are wonderful for beginner crafters, or experienced crafters looking for inspiration to make some gorgeous hair accessories. embroidering with beads, feathers and ribbons; painting techniques; cutting and using metal sheet projects include hair clips (barrettes) & combs, headbands, and slides. This book has photographs on almost every page, the excellent step-by-step instructions, and the wide variety of designs. The projects could be completed by older children with adult supervision, or as joint parent-child projects. Thanks for looking and please check out my other items for sale.